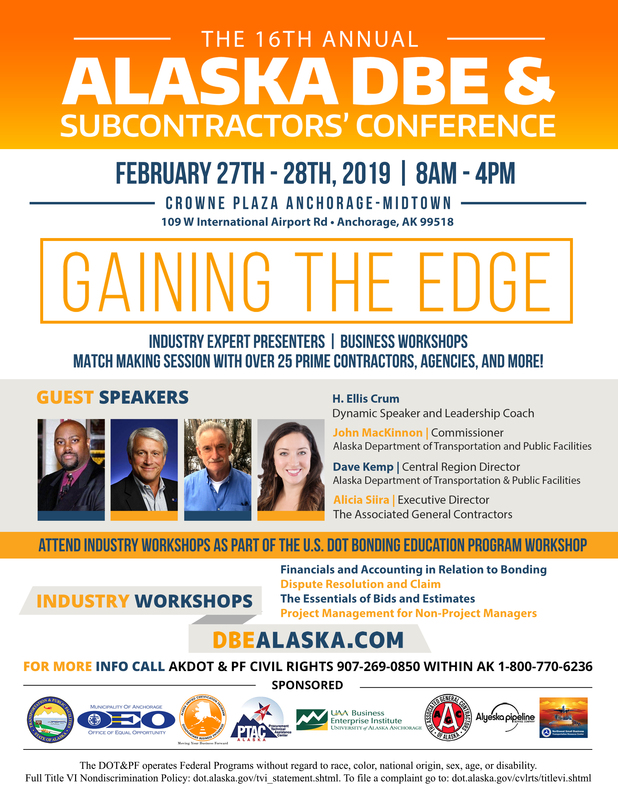 Kara will be one of many speakers at the 16th Annual Alaska DBE & Subcontractor’s Conference. This U.S. DOT Bonding Education Program will be held at Crowne Plaza Anchorage – Midtown in Anchorage, Alaska. Hear from industry experts on topics regarding leadership, project management, financials and accounting in relation to bonding and much more. Workshop will be a 2 day event, on Wednesday and Thursday, February 27th-28th, 2019 from 8am – 4pm. Click to download the flyer and itinerary below for more information, and/or feel free to email Kara or call the office with any questions!